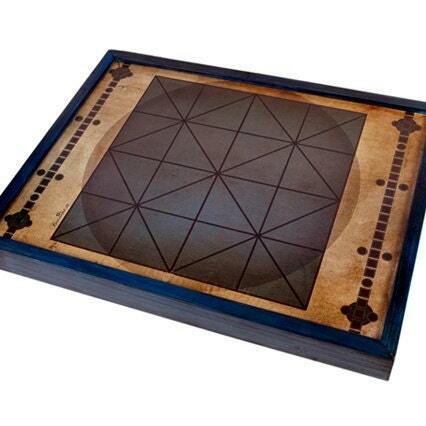 Alquerque originated in the Middle East as the game Quirkat and it is a very ancient board game. 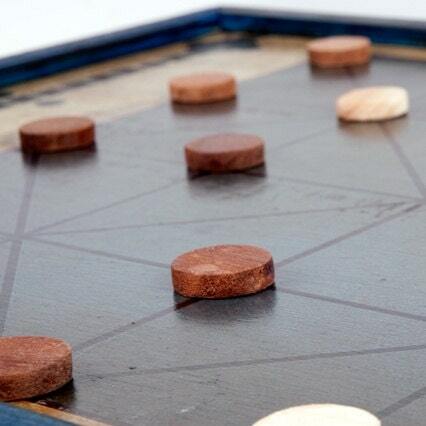 It was a very popular game in Europe in Medieval Age. 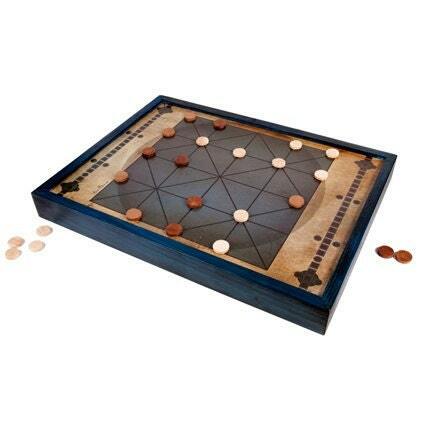 The game of Alqerque is played by two players. One player has twelve black pieces and the other twelve white pieces. The game starts with each player placing their pieces on the points in the two rows closest to them and in the two rightmost points in the center row. The goal of the game is to remove all the opponent’s pieces. This board game and the pieces are made by hand in wood and decoupage. It has a rear storage system to store the pieces and instructions. The game looks really nice and very well-made, it has very beautiful aged appearance. Also the shpping was super fast. Thank you!